All-Day Kindergarten is offered in all Andover elementary schools. If you have questions not addressed in this information, please contact your school and staff would be glad to help you. Not sure which school your child will attend? Click here and find out. A copy of the child’s state-certified birth certificate is required. Hospital certificates are not acceptable. Please contact the Vital Statistics department of the state where your child was born if you need to obtain a birth certificate. Proof of Residency that you live within the boundaries of the Andover School District. Proof of residency must be two of the following: housing contract, rental agreement or a current utility bill with your name and address. Health Assessment Form needs to be signed by a physician showing that the student has had a current physical examination. Kindergarten exams have to be current within 6 months of the first day of school, meaning exams before March 1 are invalid. Proof of Immunization. Immunizations posted to the KCI and signed by a physician are preferred. However, any official documentation is acceptable (e.g. physical record, health department record). Schools hours for kindergarten are 8:45 a.m.-3:45 p.m.
Andover Public Schools will offer online enrollment in July for the upcoming 2019-20 school year. More information will be available prior to the beginning of enrollment along with login and password information. Fees may also be paid online and we ask that all enrollment be completed by the first week of August. Fees for Kindergarten inthe 2019-20 school year will be $100, plus a $25 technology fee. All elementary schools will have a “Meet Your Teacher Night” in August around the start of school. Look for more communication from your school this summer. The first day of school for grades 1-5 for the 2019-20 school year will be Aug. 15 and kindergarten will begin Aug. 20. Andover elementary schools schedule individual kindergarten screenings on or near the first day of school. The purpose of the screening is to provide parents and teachers with information about the developmental level of their child in the areas of social, motor, cognitive and self-help development. Teachers and staff from Andover elementary schools will administer the assessments. The screening will last approximately one hour. More information about scheduling an appointment for this screening will be in the summer enrollment information. A list of school supplies for kindergarteners will be posted on the Andover Schools website. Food Service accounts are established for all students and a positive balance should be maintained in the account to ensure that your child will have milk and/or lunch. Money can be placed in this account at enrollment or by sending money in an envelope with your child to the school office or by paying online through the district website. When the account balance is low, a notice will be sent home with your student or you will receive an email notification. Questions regarding your food service account balance can be directed to Andover Food Service at 316-218-4603. The administration and staff believe that regular attendance is essential. The best learning takes place when students are present on a daily basis, contributing to the exchange of ideas, and receiving direction under the supervision of a certified staff member. Kindergarteners have recess each day. Outdoor recess is preferable, but if the weather is prohibitive, recess will be indoors in the classroom. We expect all children to go outdoors for recess, so please dress children appropriately for cold weather. If health conditions necessitate your child remain inside at recess, you must send a written excuse the first day; after that, please call the school nurse to discuss the situation. Andover Public Schools has transportation available for all students. Students that live less than 2.5 miles from their school and choose to ride the bus will be charged a fee. The fees have not been set for the 2018-19 school year. The fees for the 2019-20 school year are $250 for one student and $350 for a family. Because the district receives state aid for transporting students who live 2.5 miles or more from their school, the district will provide free bus transportation for those students. The transportation director determines bus routes, drivers and time schedules. Bus routes are not usually finalized until a day or two before school starts. 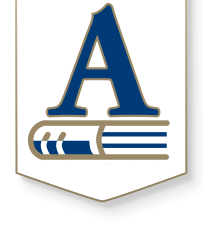 Any questions regarding busing should be directed to the Andover Transportation Department at 316-218-4621. Visitors and volunteers are always welcome at Andover schools. We encourage parents/guardians to become involved in the education of their children. If volunteering in the classroom, please make arrangements in advance with the teacher to avoid any classroom interruptions. Upon arrival, please sign in at the office and secure a visitor’s badge before proceeding to the classroom. Pre-K children should not accompany a volunteer who is helping during instructional time.